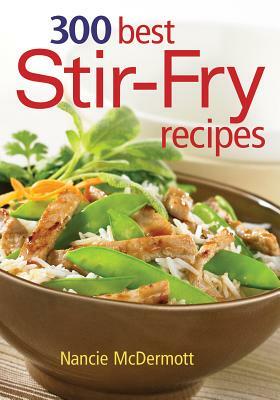 With these stir-fry recipes there are endless options for making delicious meals. Stir-frying is a simple way to prepare delicious, healthful home-cooked meals for the whole family even on the busiest of days. In addition to the satisfying recipes, there is also a comprehensive ingredient glossary that features everything from bean paste to Szechwan peppercorns. And since a wok is often used in the cooking process, there's an extensive equipment glossary which includes information about woks and how to season them. Garlic-Scented Stir-Fried Rice with Clams and Parsley, Yakisoba. The many vegetarian dishes also provide healthy, satisfying and delightful meals. Nancie McDermott is an expert on the food and culture of Thailand and the author of several other cookbooks. She contributes recipes and features on food and travel to Food and Wine and Bon Appetit magazine and lives in Chapel Hill, North Carolina.